1.1. In 2019 there will be a Christmas Advent Festival starting on the 1st December. It will be four days with GSA organising a Yellow Ball and an AmAm on the Monday and Tuesday and FPGC organising the Christmas Hamper and Sagittarius Salver on the Sunday and Wednesday. 4.1. A new warning light device has been developed with the help of Bob Woodworth to indicate when it is safe to tee off on the sixth. Components for this new device are currently being shipped from China and it is hoped it will be installed by the end of this month. 5.1. The projects on which our surplus budget is to be spent will be formalised before the AGM. 5.2. The Christmas Competition will be subsidised for members. 5.3. Thinking of the environment all members will be supplied with a refillable water flask in an effort to cut out single use plastics. The cost of these flasks will be paid out of club funds. Linda Anthony to source suppliers of these. 5.4. It is proposed that a new Junior section is created within FPGC in an effort to promote our golf club within local schools in the community but concentrating on the immediate local area such as Budens, Burgau, Salema, Vila da Bispo, Sagres and Luz. The objective for this is not only to promote golf to local children but to encourage membership to the club amongst the parents of these children to further strengthen our club. Junior golf clinics will be set up and the organisation of this is to be established. A budget for the running of this next year will be calculated and presented for ratification and approval of the Members at the AGM. 6.1. Ralph Griffin has reluctantly resigned as Handicap Secretary at FPGC and our thanks and best wishes go to him for all the work and effort he has devoted for many years. Mike Abbott has been acting Handicap Secretary in Ralph’s absence and it happy to continue in this temporary capacity and beyond if approved by the Members at the AGM. All handicaps are up to date. 7.1. The drone footage of the course has been prepared and is awaiting voice over coverage before going live. 7.2. The website provider has been changed to Go Daddy as the previous supplier is closing this part of their operation. 7.3. Microsoft Office is now installed on the club computer. 8.1. Geoffrey Harnett is to formulate the letter with the notification of the AGM for the beginning of December. 8.2. Mike Abbott is to organise the trophies for Captain’s Changeover. 8.3. Peter McDonagh has booked the music for Captain’s Changeover. 9.1. A member of the club, who wishes to remain anonymous, has kindly donated the bench, which has been placed on the 5th tee in memory of David Haddon. 9.2. Next year the prizes for the Race to Budens will be €300, €200 and €100 to be taken off green fees. 9.3. At the Christmas Competition Peter McDonagh is going to raffle or auction the use of his buggy for next year. 9.4. An email is to be sent to GSA about the fact that members who have paid for annual buggies have, at times, been unable to use them, stressing the unacceptability of this situation and asking that it be resolved. 9.5. Winter rules should be preferred lies on fairways and first cut only around the greens. The temporary rule on the 13th is now removed, as it is no longer necessary. 9.6. A summary of the new rules of golf that come into force in January 2019 will be put on the website. 9.7. 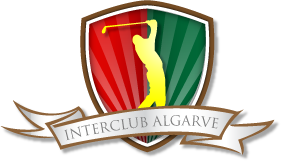 The three way match between FPGC, Palmares and Boavista is being played at home on the 23rd November. A shotgun start at 9.30. 9.8. The ladies tees on the 2nd and 7th are in need of refurbishment, Frank Finan will raise the matter with Rui Gloria. Next meeting Tuesday 4th December 2018 at 10.00.